Jeff Forsythe has more than twenty years of experience in location consulting and economic development. As the President of Forsythe & Associates, Mr. Forsythe provides leading global companies with location advisory services at the highest standards of excellence, ethics, and professionalism. Mr. Forsythe's experience predominantly includes location consulting throughout North America for manufacturing, distribution, and office projects. Responsibilities commonly include: feasibility studies, detailed site/infrastructure and community evaluations, labor market assessments, comparative financial analyses, risk assessments, and strategic real estate and incentives negotiations. He has managed projects for Asian, Australian, European, and North American clients that have resulted in more than $2.6 billion in capital investment, 13,000 full-time jobs, and 15 million square feet being developed. Mr. Forsythe has secured more than $1 billion in realizable incentives support for his clients. He has assisted companies in a variety of industries including: advanced materials, aerospace, automotive, batteries, chemicals, consumer products, forest products, logistics/distribution, machinery manufacturing, metal fabrication, plastics, renewable energy, textiles, and many more. Prior to founding Forsythe & Associates, Mr. Forsythe was a Principal with McCallum Sweeney Consulting (MSC) where he assisted clients with site selection and incentives negotiations for fifteen and a half years. His experience includes serving as the project manager on multiple competitive expansion projects for Aerojet Rocketdyne, a sulfate turpentine distillation plant for DRT America, an engineering center and an aircraft assembly project for Northrop Grumman, a carpet tile manufacturing facility for Shaw Industries, and multiple distribution center projects for Dollar General. Other notable project management experience includes: a carbon fiber production facility for SGL Automotive Carbon Fibers (joint venture between SGL Group and BMW Group), Alstom Power's first United States wind turbine manufacturing operation, and PACCAR's first engine production facility in the United States. Mr. Forsythe's economic development consulting experience at MSC consisted of a site evaluation program for the Nebraska Department of Economic Development, an incentives comparison and financial analysis for Chattanooga, Tennessee, and assisting with the Tennessee Valley Authority "mega" site identification and certification program. Prior to joining MSC, Mr. Forsythe was a Consultant with Fluor. During his time with Fluor, Mr. Forsythe was engaged in economic development and site location consulting. Noteworthy project management experience includes executing tax and incentives analyses for the states of Arkansas and Mississippi and formulating a local economic development strategic plan for the Arkansas Valley Alliance. In addition, Mr. Forsythe participated in a nine-country competitiveness analysis and site identification for a biopharmaceutical client. Mr. Forsythe joined Fluor after serving as Project Manager for Cabarrus Economic Development in Concord, North Carolina, where his primary role was to aid national and international firms evaluating Cabarrus County for new or expanding operations. Responsibilities varied from identifying and proposing available sites and buildings to incentives negotiations. Additional tasks included performing research to track the economic prosperity of the county, developing marketing materials to aid prospects considering the county, and conducting targeted marketing missions. Mr. Forsythe holds a Master of Public Administration and a Bachelor of Science from East Carolina University. 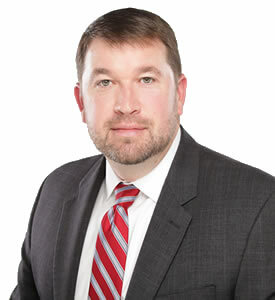 He is an advisory council member for the European American Investment Council, a graduate of the Oklahoma University Economic Development Institute, and maintains a South Carolina real estate license.